Family film about a pair of children whose father’s girlfriend has kidnapped their dog. Dean Cain stars as Glenn Barrows, a recent widower doing his best to raise his young kids Elliot and Phoebe, who really miss their mother. 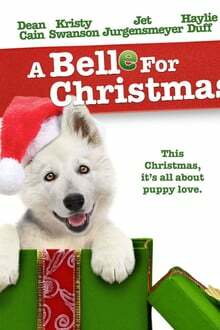 Things start to look up when the Barrows adopt an adorable puppy named Belle during the holiday season. Just as the healing seems to have begun, Glenn’s dog-hating, gold-digging new girlfriend spoils their newfound happiness by sending Belle away. Will the young kids pull off a daring Christmas Eve rescue of their beloved new pet? Haylie Duff co-stars in this heartwarming comedy about family, friendship, and a four-legged holiday miracle.